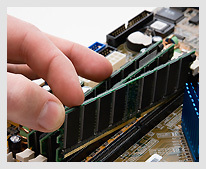 Time tested proven technical expertise at your fingertips. At The Hostworks, we believe in a higher level of service, we take pride offering the highest level of service to our customers. The Hostworks was Founded in 2002 and we've grown to be a leading provider in web hosting, virtual servers, and enterprise spam filtering services. In 2008 we have come together with SpamMinder Inc, a managed e-mail security company. Our technicians are trained and certified which allows us consistantly stay ahead of the technology curve, constantly developing new products enabling our customers to grow with us. When first founded we offer basic web hosting services, our clients grew with us. We saw the need for dedicated resources without the dedicated price point typically associated with dedicated service space; we then introduced VPS and cloud services based on this demand. We offer a vast variety of services. Running a business takes time money and most importantly, customers. The Hostworks makes its business in making your business a priority. Offering a wide variety of services to quickly and reliably get your business and website delivered to your audience. We've been enabling people with the power to focus on their websites and businesses without having to worry about the technical aspect. Giving people the freedom to grow their businesses and hobbies without worry.